The Apricot Remedy from Hungary. Hungarians say Pálinka is medicine in small quantities. Well if that is true all medicine should taste like Pálinka! 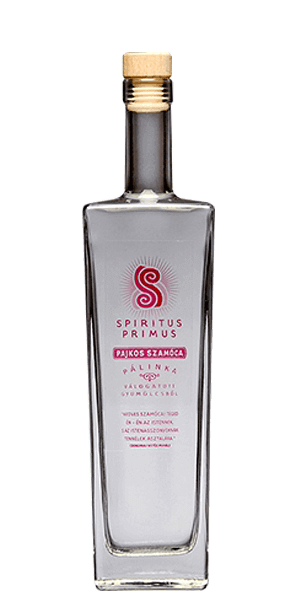 Spiritus Primus began distilling different Pálinkas in 2008 with a vision of cultivating land and preserving the Hungarian tradition in a 21st century environment. The distillery is based in Tiszaföldvár (wow, try to pronounce that), next to the River Tisza in central Hungary. Spiritus Primus Palinka is made from apricots. It's distilled in small pots, and bottled without ageing. By Hungarian law the content has to be 100% fruit, without added alcohol, colourants, flavours or sweeteners. This is a drink that's interlaced in every aspect of life either to enhance joy, or to ease pain. Egészségedre (Cheers in English!). - The first records of this spirit dates back to the 14th century. The word pálinka derives from the Slavic word pálit, meaning burn, to distil. What does Spiritus Primus Palinka Apricot taste like? The Flavor Spiral™ shows the most common flavors that you'll taste in Spiritus Primus Palinka Apricot and gives you a chance to have a taste of it before actually tasting it. Apricot, apricots and some more apricots lead the show here. A gentle and rubbery aroma of apricot, almond, pungent and astringent. Moderately dry, long finish with a minty touch. Apricot, Rubbery, Almond, Dry, Herbs, Fruity, Fresh. Strong rubber taste. Hard to think of a good food pairing. Not my favorite. Lovely flavor. I wish I could find it again!